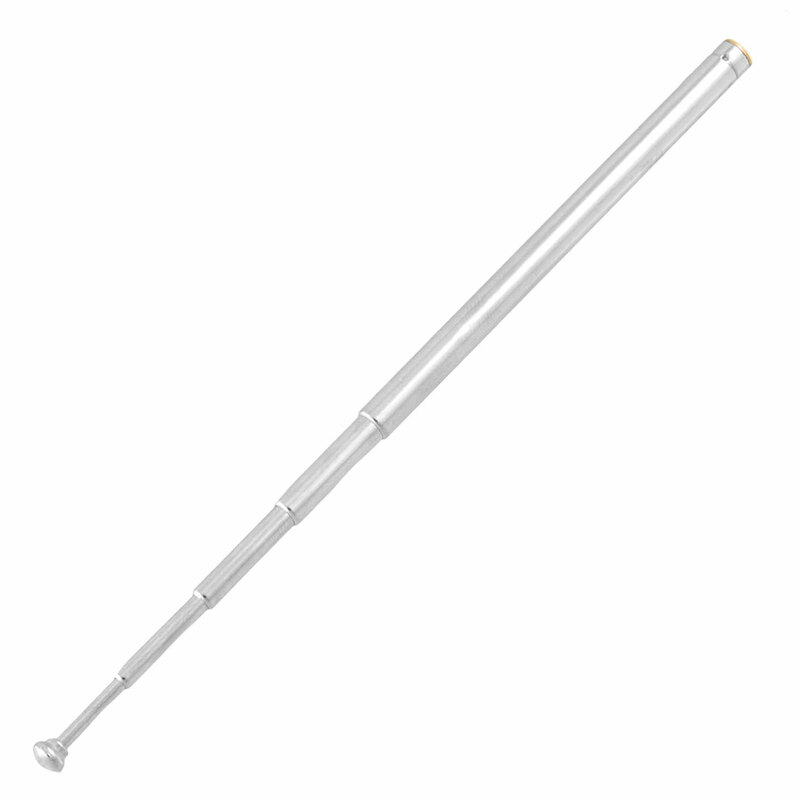 Features: 5 sections telescopic antenna aerial. Mainly used in television, radio, electric toy, remote control, lamps and lanterns, VCD, and other special configuration communications antenna and iron and tools antenna and other electronics products. Great replacement for your damaged TV antenna or FM radio antenna! Unstretched Size : 80mm / 3";Full Length : 295mm / 11.6"
Max Diameter : 5mm / 0.2";Mounting Female Threaded Hole Diameter : 2mm / 0.078"